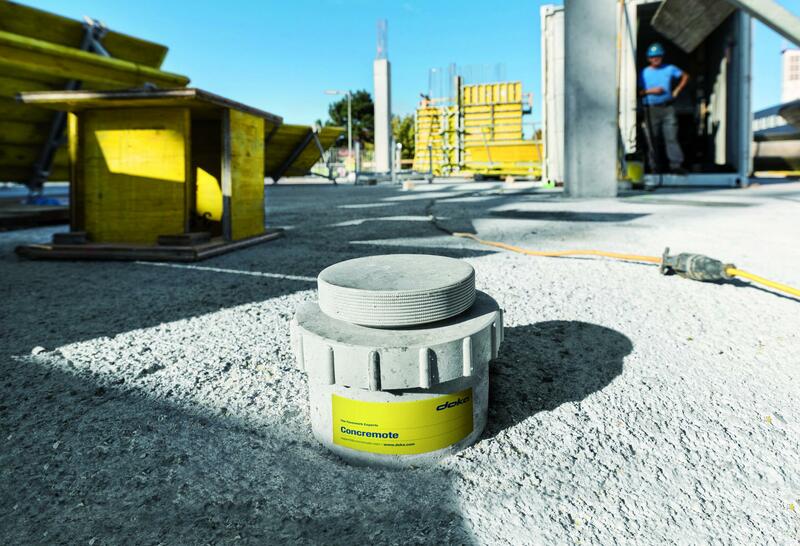 Concremote was crowned "Commercial Innovation of the year"
Doka UK was awarded for the innovative concrete- sensor technology Concremote with this year's Construction News Award. Concremote allows construction firms to digitally monitor their concrete mix by providing live data on the temperature and hydration of in-situ concrete. 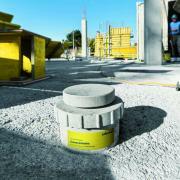 The award-winning concrete sensor technology from Doka has already been deployed on more than 100 construction sites. It boosts construction productivity by optimizing cycle time, quality and costs. Doka’s Concremote was crowned the Commercial Innovation of the year by the panel of expert judges after demonstrating a product that has the potential to make massive savings across the construction industry. “Doka UK are very proud to receive this prestigious UK Construction award for ‘Commercial Innovation of Year’ for the innovative service of Concremote, amongst some very stiff competition. This award recognizes the fundamental nature of Doka to innovate and deliver added value to the Construction Industry. 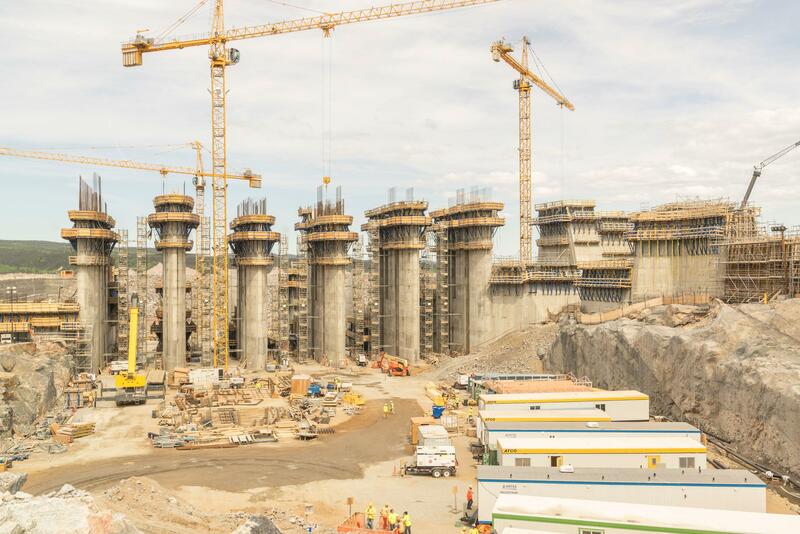 Our success with Concremote is in raising the quality, safety and productivity of the execution of all forms of Concrete construction”, so Luis Morral, Managing Director Doka UK & Ireland. The judges felt the technology performed a vital function through a simple, easy-to-use design that provided real benefits to the industry. The judges added that “Doka’s Concremote brings a trade that’s been done with little or no change for decades, and brings it into the digital age to bring huge benefits to contractors and clients”. The Construction News Awards are the industry’s biggest and most prestigious awards, showcasing the best ideas, performance and achievements from the past 12 months. The sensor-based solution returns data on the temperature and strength development of in-situ concrete in real time, vital information for the construction process. The use of Concremote could shorten the construction cycle on the core build of a 47-storey highrise by a day per storey, resulting in a 20 % increase in productivity. Concremote has a very wide operating range. 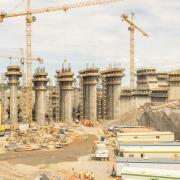 As proved at temperatures down to minus 40 Celsius on the Muskrat Falls project, Canada's second largest hydroelectric facility, it is also in great demand in the United Kingdom. Thanks to the combination of Concremote and the self-climbing platform SCP, the cycle times could be reduced by 17% at the Highpoint London project. Concremote was also used on site of Tottenham Stadium or at the highrise project One Black Friars. Thank you for your interest - Concremote was crowned "Commercial Innovation of the year". Thank you very much for your interest - Concremote was crowned "Commercial Innovation of the year".